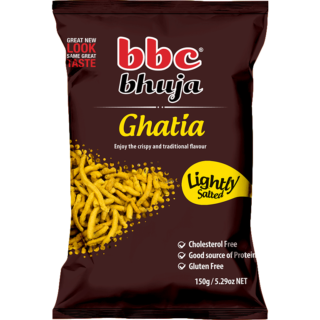 Open a pack of 150g range of BBC BHUJA brand of Ghatia into a large bowl. Add 500g either home made fresh yogurt or pre-pack yogurt. You are ready to serve!